Gov. Gary Herbert delivers his 2017 State of the State, which he described as "truly exceptional." 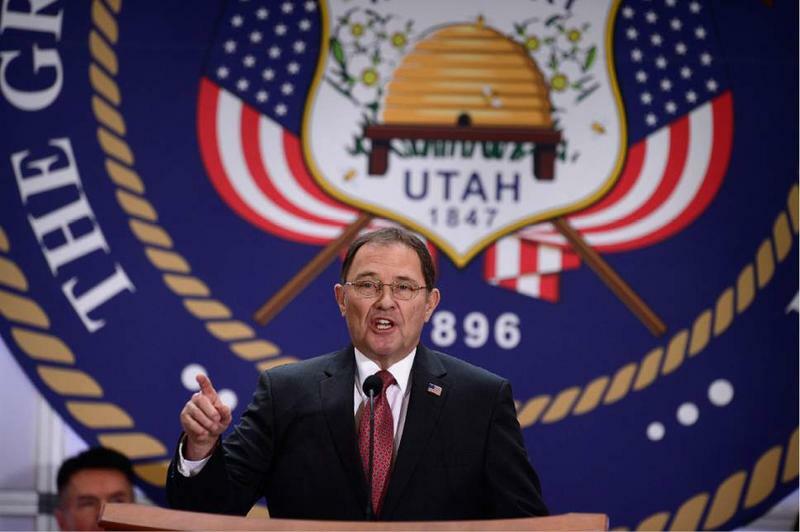 Herbert said Utah has made tremendous progress since the Great Recession -- adding 43,000 jobs in the last year alone -- but he told lawmakers that there’s still much work to do. The governor announced a new workforce training initiative called Talent Ready Utah, which he says will partner industries with schools to prepare young Utahns for the high-tech jobs of tomorrow. He also pledged to create more jobs in rural parts of the state. Although mostly an upbeat speech, Herbert told lawmakers the state must continue to address the issues of homelessness and drug addiction. “And let us as a state be absolutely clear: That we will no longer tolerate the unconscionable drug trade that vicitmizes the most vulnerable in our community. Let us all agree tonight: That this absolutely must stop” he said. On education funding, the governor argued that Congress and state lawmakers should help close tax loopholes and exemptions that could boost the state’s coffers and, by extension, its schools. But Democrats say the governor’s education message fell short Wednesday night. Sen. Gene Davis is the Democratic Minority Leader. “I’ve been here a few years, and we’ve always had this, ‘Let’s close the loopholes, let’s take away some of these exemptions that are out there.’ Never happened. The reality is: Either you close the loopholes or you raise taxes, and that should be the option,” said Davis. The governor also spent time discussing air quality and federalism. To the surprise of some, Herbert subtly endorsed a possible repeal of Utah’s much maligned Zion Curtain law that shields bartenders from making drinks in front of customers. Gov. Herbert closed by saying he’s exhilarated by the challenges ahead in 2017 and optimistic about Utah’s future. Word cloud of Gov. Herbert's most used terminology. Governor Gary Herbert publicly took the oath of office Wednesday after being elected to a third term as governor of Utah.